The Australian Trucking Association has issued a statement saying it has welcomed the recent release of the Master Industry Code of Practice. The ATA and Australian Logistics Council developed the code with the support of the National Heavy Vehicle Regulator and the Australian Government, to assist all businesses in the chain of responsibility manage their common risks and improve safety. “This is co-regulation in action. For years, responsible transport operators and businesses have argued they should have a say in the chain of responsibility regulations,” ATA CEO Ben Maguire said. “For the past 18 months the ATA and ALC have worked closely with industry stakeholders to develop clear guidelines for operators to meet their responsibilities under the Heavy Vehicle National Law (HVNL). “This is a code developed by the industry, for the industry,” he said. The ATA’s safety accreditation system, TruckSafe, is now in the process of building the master code into its standards to ensure accredited members are compliant with the new truck safety laws that came into effect in October 2018. 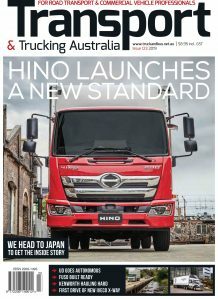 “The revised TruckSafe standards will be consistent with the master code and HVNL requirements,” Mr Maguire said. “They will provide members with easily understandable working procedures and gap analysis tools to address potential risks,” he said. The revised TruckSafe standards will be launched at the ATA’s annual Trucking Australia conference, held 3-5 April 2019 in Perth. “The new truck safety laws impose a strong general safety duty and impose heavy penalties for companies and individuals who don’t comply.” Mr Maguire said. “Every member of the supply chain has a responsibility to improve safety and manage their risks, and the master code and TruckSafe are here to help,” he said.